To help suppress vibration, most 'V' and 'horizontal' engines use an even number of cylinders as closely opposed as possible. 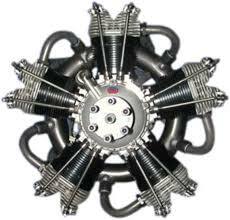 Radial engines are well known for excessive vibration. For some reason they nearly always use a staggered odd number of cylinders that would seem to promote vibration, why? An odd number of cylinders is required by the combination of the single-crank radial design, the four-stroke (Otto) work cycle, and the desire to keep the power strokes evenly spaced in time. To keep the design simple and lightweight, a single-bank radial airplane engine has one crank, which means that the pistons must reach the top of their travel in rotation order. But the four-stroke cycle requires that a piston must reach the top of its travel twice for each power stroke. The only way to promote evenly timed power strokes is to fire every other cylinder in rotation order. With an even number of cylinders this would require a hesitation or skip in the firing sequence on every rotation as the engine switched between the odd and even cylinders. With an odd number of cylinders the timing is quite naturally smooth. For example, the firing order of a nine-cylinder radial is 1 - 3 - 5 - 7 - 9 - 2 - 4 - 6 - 8. If you could watch a radial airplane engine in slow motion you would see that when a cylinder is in its compression stroke, the cylinders on either side of it are in their exhaust strokes, and when a cylinder is beginning its power stroke, the cylinders on either side of it are near to beginning their intake strokes. Two-stroke radial engines do not need to have an odd number of cylinders. Surely a 1, 3, 2, 4 firing order (just like an inline-4) seems possible in theory, but [one of] the issues is the ring camshaft. (...) unless there is an odd number of cylinders, the ring cam around the nose of the engine would be unable to provide the inlet valve open - exhaust valve open sequence required by the four-stroke cycle. Watch the animation here: https://en.wikipedia.org/wiki/File:Radial_engine_timing-small.gif (too big to upload here). Notice the two rings, each with two opposite steps (lobes). As one step pushes a rod, the opposite step does the same two cylinders down with a delay. If they were an even number, the ring cam would be operating two opposite cylinders simultaneously due to the shared crankshaft mounting. In other words, the ring cam would be letting in the air/fuel mixture with one of the pistons (in a pair) going up, not down. Not the answer you're looking for? Browse other questions tagged piston-engine engine-design vibration or ask your own question. 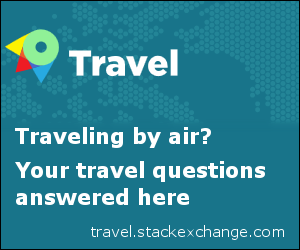 Why do we always use circular nozzles for commercial aircraft engines?